You may be thinking, “Wow – contracts? I think I’m already asleep.” I admit, it is not as compelling as discussing social media faux pas or the #MeToo movement. However, it is worth spending a few minutes to discuss the ins and outs of the most common employment agreements. Before we dive into our topic, let’s set some ground rules. First, remember that you cannot insulate yourself from all risks via contract. There are simply things you cannot and should not ask your employees to agree to or sign. For example, at the beginning of their employment, you cannot ask an employee to waive the right to make a complaint or file suit for any issue that may arise during the course of their employment. You cannot ask employees to agree to be paid less than is required by the Fair Labor Standards Act (“FLSA”). You should not ask them not to challenge the enforceability of a contract you ask them to sign. Further, the law in this area is often location specific. 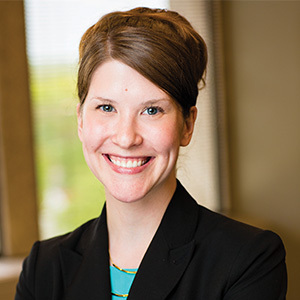 A non-competition agreement that is enforceable in Florida may not be enforceable in Missouri, and the courts in those states may consider different factors when assessing whether to enforce the agreements. Further, some states and cities are known for being employee friendly. For example, California is well-known for its plethora of employee-protection statutes. Finally, this article only touches on the surface of these issues. There is no substitute for speaking with experienced employment counsel in your area about these questions. Further, you should always involve your favorite attorney in the planning and drafting of any agreement you plan to ask your employees to sign. Earlier this year the United States Supreme Court issued a landmark decision in a case called Epic Systems v. Lewis. In this case, the Supreme Court held that arbitration agreements should be enforced according to their terms and that class action waivers in arbitration agreements are valid. Practically speaking, this case suggests employers can ask their employees to sign an agreement in which they agree to resolve any claims that arise from their employment in arbitration, individually. The decision is certainly good news for employers who currently have arbitration agreements or those who are considering using them in order to reduce the expense related to civil litigation. Instead of facing a class action, you can arbitrate with the individual parties. However, this ruling is not a panacea. Employers still need to be careful in considering whether and how to implement arbitration agreements. Arbitration agreements should also be carefully drafted. If an agreement is exceptionally one-sided or otherwise “unconscionable,” then a court is likely to invalidate it. Further, depending on what state you are in or what arbitration agency you are before, be aware that employers may end up paying the majority of the arbitrator’s fees so as not to make the arbitration prohibitively expensive for the employee. Another agreement employees are commonly asked to sign is a non-competition or non-solicitation agreement. Often called restrictive covenants, these agreements protect a company’s legitimate business interests, like trade secrets, customers and good will. Generally speaking, the restrictions contained in the agreements must be reasonable. A court is unlikely to enforce an agreement that prevents someone from ever working in a particular field anywhere in the continental United States for the next five years. A restrictive covenant that contains reasonable geographic, temporal and/or client-centered limitations (like 18 months within a 50-mile radius of where the employee worked or with customers with whom the employee personally serviced within the preceding six months) is more likely to be enforced. Further, not every employee should be asked to sign a non-competition agreement because not every employee has access to protectable information. Several Jimmy John’s franchisees made the news a couple of years ago when they required low-wage workers like sandwich makers and delivery drivers to sign an agreement preventing them from working for a competing sandwich shop within three miles of any Jimmy John’s location for two years after leaving the company. Two years is often fine, and three miles seems reasonable, but – given the ubiquity of Jimmy John’s restaurants – this agreement effectively prevented former employees from working in any restaurant selling sandwiches for the next two years. Courts tend to object if you prevent someone from earning a living. Finally, keep in mind this is a very state-specific question. Some states will examine a restrictive covenant like any other contract and will generally uphold any “reasonable” agreement. Other states like California have specifically enacted laws that prohibit non-competition agreements and impose strict requirements on when and if a non-solicitation agreement will be found lawful. In the course of employment, many employees will receive access to confidential and proprietary information. Understandably, employers want to ensure that their data (and their client’s data!) remains protected. Thus many employers will ask employees with access to this sort of information to agree not to disclose this information either during or after their employment. Non-disclosure or confidentiality agreements differ from the restrictive covenants we discussed above because, among other things, they usually do not have an end date and instead simply state that this information may only be used in the performance of the employee’s job. Confidentiality agreements tend to be less controversial than non-competition agreements. However, employers should still be careful in drafting this type of agreement to ensure they are not overly broad and are legally enforceable. It is worth mentioning employee handbooks in the context of employment agreements. Some states will treat your employee handbook as a binding contract between you and your employee; some states will not do so if you specifically provide that the handbook is not a binding contract. Either way, it is a critical document. A good handbook records the company’s rules and communicates them to your employees in an easy, understandable way. If a handbook is drafted well, it provides helpful information on what’s expected from employees and what they can expect from their employer. It can also provide the foundation for any employment decisions you need to make and – if the situation arises – forms the backbone for the defense of many lawsuits brought against you by employees. At bottom, your handbook should be legal. It should be compliant with federal laws as well as the state and local laws and ordinances of the areas in which you operate. 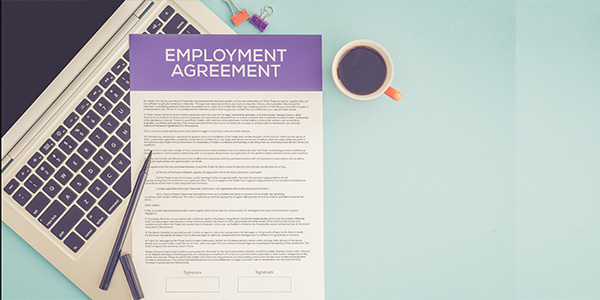 Like so many other employment law questions, there is no one-size-fits-all approach to when or whether you should implement one or all of these employment agreements in your company. However, hopefully you now have a better idea of the types of agreements and how they may be useful to your company.